This is such a beautiful picture taken on Mistress Grace's very special day. She was exceptionally gorgeous that night (less the unglam swearing part when she damn bladdy high as well as the LongKangFairy award part). Then it dawned on my why this particular picture stands out so much, as if it was screaming at me! And Mistress Grace's freudian slip on MSN last week confirmed it all. THERE WAS LUST IN THE EYES!!! What can I say? 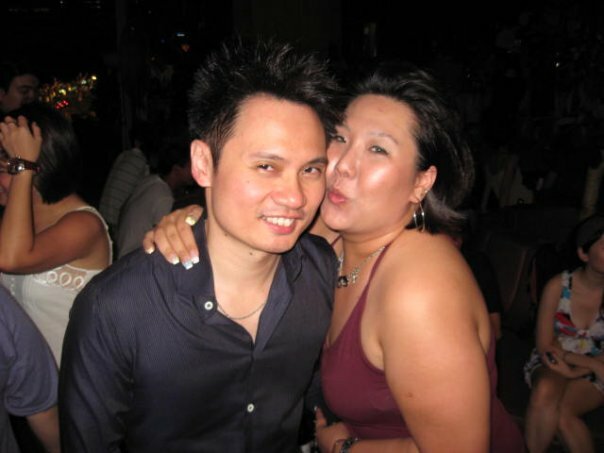 She lubed him nong time! Our friend ruok also kio tio gu lan in the year of the Cow. See how his arm kena pressed by the neh neh until song song gao Jurong except in this case, the song song overshoot Jurong, past Second Link to PuChong liao lor!!! 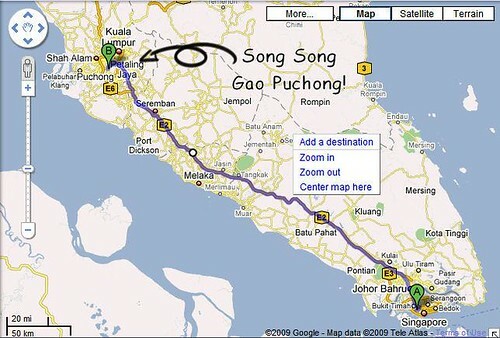 SONG SONG GAO PUCHONG!!! WHAHAHAHAAHAHAH!!!! OK, so at first we all thought it just just a secondary school type of crush lah. What is this other picture I spy? Gasp! It's can't be. No. I can't possibly be. It's the MORNING AFTER SHOT! Contact lens take out liao. Hawt party shirt now become normal wear-at-home t-shirt. Hair also ruffled up liao. Both of them also a bit orh-bak-kak due to lack of sleep. Then see the two of them smile until so 甜蜜蜜. Leave little to the imagination liao loh. So anyway, I purposely put this entry on April Fool's Day. Acherly is to help them one. Wait people say they dog-male-female, I can easily jump in to their defence and say "APRIL FOOL!!" Like that I cover for them swee swee. I do things staydee one. No scared! why no mention of the headlights in da background? I knew there was always something between those two! Wahahhaha... the morning after shot! OMG!! HAHAHAHAHAHA.. Darn, you're such a 'good' friend, Jay! 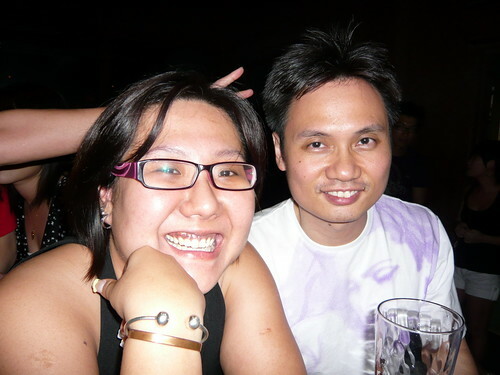 Eh how dare u put such a tak glam photo of me online... U ruining my image leh!!! jaywalk has the calibre of paparazzi! ruok: Mention headlights when there are the Puchong High Beams? Get your priorities right, boy! StarM|ist, nerak & Princess: Say together with me.... SONG SONG GAO PUCHONG!!! tty: Paparazzis shall kowtow to me! NO!!!! DONT COWBOY ME AGAIN!!!!!!!!!!!!!!!!!!!!!!!!!!!!!!!!!!! I DONT WANT TO BE FEMES!! Mistress Grace: Is it me or are you try to REVERSE PSYCHOLOGY us? OK LOR!!!! what reverse psychology... No means no lah... Basket!! !